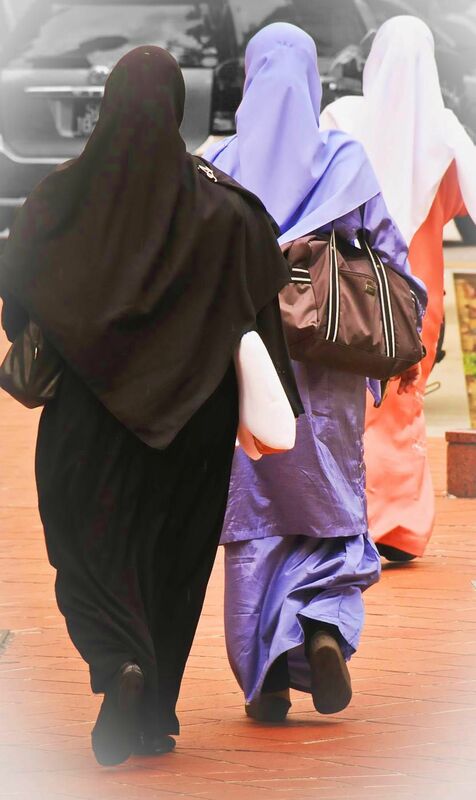 Three Muslim women in a hurry in the Arab Quarter in Singapore . . . Nikon D300s, Tamron 18-270mm lens.